Each and every day, thousands of people search the internet for ways to get more Instagram followers and to become the next Insta-famous celebrity. It’s becoming the new career path that a lot of people are pursuing. There is so much attention focused on Instagram right now, it would be crazy to ignore it. Yes, like with all online trends, they will have an upswing, then they will eventually fall. So, take advantage of this opportunity while it’s HOT! 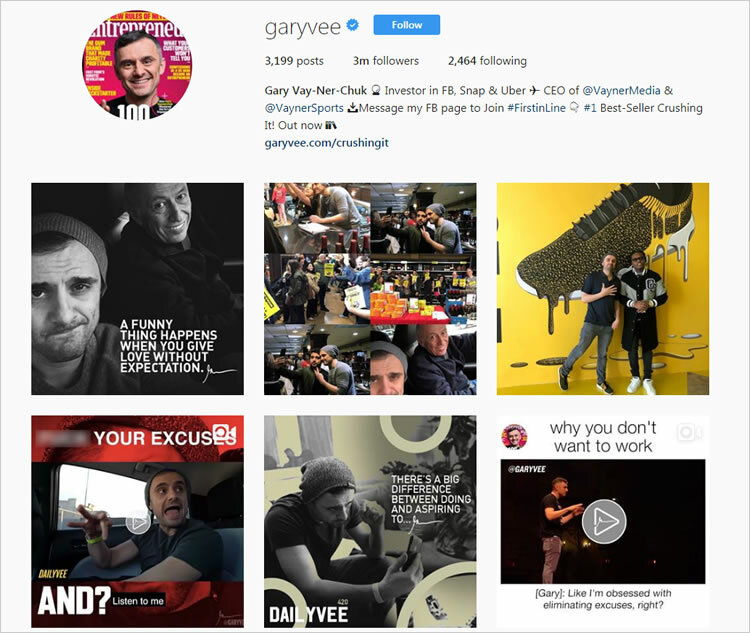 I don’t want to give you the impression that you will be able the quit your day job, become insta-famous and you will be set for life. It doesn’t work like that for everyone. Your content has to be popular and highly searched to begin with. However, for any business, Instagram has amazing potential for those who are looking to establish their brand and corporate identity. 1. Make sure you post on a regular basis. If you want to build a strong following on Instagram you need to post quality content regularly. Many big businesses like McDonalds are very good at posting regularly. But, small businesses can also do the same thing and post images and small videos of their business, not just daily, but even several times a day. You don’t need the big bucks to create Instagram content. It’s as simple as taking out your iPhone and start capturing photos and video content. 2. Use hashtags the right way. By this, I am saying to use them the smart way. Not just overdoing it with 20-30 of them in every post. I’ve been guilty of this myself. I found out that your use of hashtags should be targeted and focused, not just randomly used. For example, Under Armour uses the hashtag #WEWILL. This hashtag is part of their branding campaign and is used widely across the platform. Your hashtags need to be appropriate and attention-grabbing. Take the time to play with different word combinations. Some studies have shown that hashtags that are funny tend to do better. 3. Choose your niche. Yes, social media can be entertaining and fun, but your goal is to attract followers. To do so, your page should focus on a specific topic. 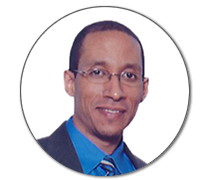 This will help establish your brand and authority in the field. A great example of this is Gary Vaynerchuk’s page. He posts inspirational quotes and advice for entrepreneurs. You can see by the screenshot below, that he has a specific style of displaying each post. 4. Use only quality photos. Smartphones have come a long way and can now take stunning pictures and high quality videos. There is no reason to take a bad picture or grainy video. If you browse through Instagram, you’ll see that it’s full of high quality, engaging photos. If you take boring photos, you are likely to be ignored. Top brands make an extra effort into the quality of photos they put on the Instagram page. You don’t need to be an expert in photography, but you still need to make sure your photos attract attention and send the right message that your business wants to convey. 5. Use a professional photo editor for your images. The quality of your images is very important. I personally use Adobe Photoshop, but if that’s not for you, there are many really good free photo editors online. Use the one that is best for you to make your Instagram images more eye-catching. 6. Diversify your images. Yes, you can promote your product or service with relevant images. But, what works best on Instagram are things that are “outside the box”. Create quotes, videos and even drawings that will give your Instagram page a unique look. Remember, you want to post things people are likely to want to like, comment and share with others. 7. Engage and be social. If you want to build a following, you need to engage with people. Search hashtags relevant to your industry and not only like their images, but engage with them and start a conversation. People will then be more likely to see what you are about. 8. Use popular hashtags that are designed to attract followers like #instafollow or #l4l and #followback. These are guaranteed to give your post exposure on the platform. Take the time to research many other popular hashtags as well. When you start typing a hashtag, Instagram gives your how many posts are using that hashtag. This will give you a sense of the popularity of the hashtag. 9. If you LIKE hundreds of random images of people in your specific industry, you are likely to convert a percentage of those likes into followers. Just make sure you also comment on at least some of them. You do not want Instagram to think you are just “Spam-liking” just to get followers. 10. This might sounds crazy, but you can hold a contest. People like to participate in contests. A good way to go about this is to post a picture promoting your contest, then as people to like your image in order to participate. You’d be surprised at how well this actually works! 11. This goes without saying, but some people may not think about it. Promote your Instagram page on your other social media accounts! Be creative and create give-ways for free on other social accounts in order to entice people to follow you on Instagram. You can do things like give how-to tips, behind the scenes video, promotions, discount sales and more. 12. Here’s the most common way to get more followers…LIKE and comments other people’s pictures. It sounds like a no-brainer and so obvious, but you’d be surprised how many people don’t like, comment or follow other people, yet they expect to be liked and followed. 13. Similar to a tip I mentioned above about hashtags that are used to attract followers, wse hashtags that get images easily found in a custom search. Some popular hashtags are #instagood, #photooftheday and #love. 14. Many people ask, when is the right time of the day to post on Instagram? Well, there has been some research done on this and they have concluded 5pm is actually the best time of the day to post and get more followers. 15. Guess what? Did you know that there are hashtags that you can search for from people that are specifically willing to follow you if you follow them? Next time, search for #followme and likeforlike. Many people will actually follow you back. Try it. 16. There’s an old saying that is relevant for Instagram. Quality always beats quantity. If your Instagram account has a bunch of images that are not very good, take them out. Nobody will follow you if your images are boring and don’t grab attention. So, when you get a chance take them out and leave only the ones you think are the best. 17. Experiment with different filters before you post the image. Instagram provides a lot of really impressive filters to give your pictures a really nice effect. You’ll be surprised at the difference they make. Give them a try. 18. Many people neglect their profile and think only about their pictures. Make sure you complete your profile with not only a strong bio, but also this is a good place to add a link to your website. Take full advantage of this part of your Instagram page. Many people actually do read the bio and profile message. 19. Create engagement in the caption area of your pictures. You can do this by asking questions or even taking a poll. Many people love to answer questions. You can then start a conversation with those who comment. 20. Want to stand out? Post on days that tend to get the least amount of images posted. Studies have shown people post less on Sunday than any other day. Why? Nobody knows. But, take advantage of a low post day to post your images. More people will see your posts. 21. Stay consistent with your posting. If you stay within your niche and industry when posting images, you are much more likely to grow a following, rather than randomly posting images that don’t seem to relate to the others on your page. 22. Never forget to use a “call to action” or CTA buttons in your photos. They work on websites, and they work of images too. Anytime you can get your followers to take further action, you will be more likely to convert them in to followers. 23. Post as often as you can. You probably think that if you over-post, you may look like you are spamming the platform. There is some truth to that. If you are posting useless content, just for the sake of posting, then yes. But, if you are posting several quality posts a day, you will without a doubt create a following that loves your content. 24. Use the tools Instagram provides you with. 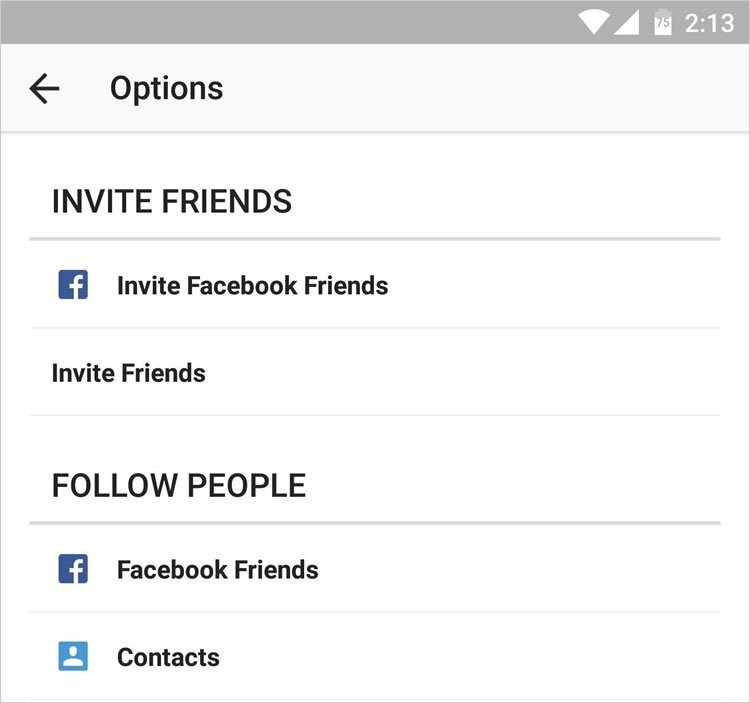 If you go into your settings you can invite Friends and Suggested Users. This is a treasure trove of potential followers. Stay up to date and always use what Instagram is giving you for free. 25. Do a Google search and find resources that will help you find out what kind of photos get the most likes and engagement. Do the research, and then post more of those type of images. 26. If you are a local business, using Instagram geotagging is very useful. When you use this feature, more people in your area will see your image on the location’s search page. If you are looking to get local followers, this is a fantastic way to go about finding people in your region. 27. Use a scheduling software to schedule posting to Instagram. Remember, when you post consistently, you will naturally grow your followers over time. 28. Truly make an effort to engage with people. Nothing beats human interaction with another Instagram user. Continuously LIKE and comment people’s photos. Keep searching for new people to follow, engage and comment. Ask them questions, get them to start a conversation with you. 29. Combine multiple pictures into a series of photos. You can use online tools like PicFrame to do this. Putting together up to 10 photos engages more potential followers than just 1 photo. 30. Get influencers to tag or simply mention you in a post. If you know of an influencer that knows you well, just ask them for a mention. You have nothing to lose. The worst they can do is say NO or simply not answer back. If it works, you will get a bunch of new followers to your account. 31. Research has shown that blue images seem to get 26% more likes than other colors like red. So, try to incorporate blue into your color scheme. 32. Post on Wednesdays. This seems to be the best weekday to post for maximum engagement. It seems like the middle of the week is a popular time for Instagram users to go through their feed. 33. Use a little psychology. If you want people to comment or follow, use the words “comment” or “follow” in the captions of your photos. Some studies have shown captions that include these words tend to get users to take that action. 34. Pictures of scenery are good, but people react more to seeing faces. Try to put faces into the photos you take. Studies suggest photos with face get 37% more likes. 35. Don’t forget to make use of tagging people in your photos. Doing this will make certain that these tagged photos show up in user’s feeds, which will increase the likelihood of a share. 36. Create lighter, brighter images. Lighter images get about 25% more likes than those that or darker. By this, I mean naturally lighter images. Don’t artificially lighten photos in Photoshop just to get them lighter. 37. Create your own unique hashtag that you can use for branding purposes. When you create the hashtag, you can then encourage your followers to use it. This will help increase your brands visibility and, in turn, get more likes and followers. 38. Behind-the-scenes photos and videos are very popular. This type of content shows the personality of your brand. Sharing these type of photos shows a human side of what you represent as a brand. 39. Invite an influencer to guest post on your account. This is a guaranteed way to skyrocket your engagement. Do this, and you will increase the amount of followers. You’ll watch your follower count explode! 40. Share your followers photos, especially, the photos that may mention you somewhere. Doing this will encourage others to share your photos as well. This is a really good strategy for exposure. 41. This may contradict a previous one. But, consider not using any filter on your photos. Some studies have shown photos with no filter at all get most engagement. 42. Use email marketing software like MailChimp to promote your Instagram account to your email subscriber list. From time to time, share an image in your newsletter and link it to your Instagram page. 43. Use physical marketing material to promote your Instagram page. This can be in the form of business cards, signs, flyers, etc. 44. This one is so simple and obvious, but people just don’t do it. Follow your Facebook friends on Instagram. When you do this, they are likely to follow you back. All you have to do is go to your profile, click the 3 dot menu in the top right, select Invite Facebook Friends. 45. For photos with a white background, create a faint grey border. Images with a defined border get 130% more likes than ones without. 46. Your images can tell a story. By telling a story I don’t mean the Story feature. I simply mean that you can use the caption section to tell a story about your brand. Doing this is much more likely to create an emotional connection with users. 47. If you like going to big events and take photos, you can tag well know influencers to increase exposure and sharing. 48. Use tools such as Iconosquare to monitor the statistics of your account. This is a great way to see what photos play best with your target audience. This information can give you an idea of what you post more often. 49. Use photo editing tools to crop your images, retouch them or add special effects. The key here is to create the highest quality images that grab attention. 50. It sounds simple, but use the word “like” often in your captions. You’ll be surprised how doing this will get people to actually LIKE your photo. 51. Create an Instagram plan. Just like with business, you must have a business plan on how you will attack your Instagram campaign. Make a plan on when you will post, what you will post and make sure you stick to that plan. 52. Have you noticed? Quotes on Instagram are very popular. You can schedule to post images at certain times of the day and post quotes another time that same day. 53. Connect with your contact list. Click those three dots at the top-right, “Find Friends” and connect with the people in your email list. Instagram gives you this tool. Use it! 54. Network with well-known people on Instagram. Search for businesses similar to yours with relevant hashtags and find those with a high follower count. Try to create a relationship with them, you never know if these influencers will reach out to you. 55. Use tools like Crowdfire to monitor your Instagram posts and the follow and unfollow statistics. 56. Collaborate with other users that are in your niche to trade mentions to each other’s Instagram pages. You scratch my back, I’ll scratch yours. This is a good way to get visibility and create relationships. 57. Build an online community by creating a hashtag. Create a campaign that you can promote and get your community involved. You can do this by creating a unique and catchy hashtag. 58. Don’t just post. Create a story. The story feature is extremely popular and should not be ignored. When you create a story, you are more likely to get it shared. This will attract more people to you and you will get more followers. 59. Create an Instagram ad campaign. You will have to spend some money. But, you can create a budget that you are comfortable with. Paid advertising is guaranteed to bring results. 60. Have personality and a sense of humour. Take the time to like photos of everyone who likes you. From time to time, you also need to leave comments. Just don’t leave generic comments like “Nice”. Show your personality and funny side. But, make sure your comments are relevant to their picture. Do this and you will be rewarded with new followers. Direct message influencers in your location. You can do this by going to the PLACES tab in the search field. When you do this, a list of businesses will show up related to that keyword you typed in. Go to each one of their Instagram pages, like their images, comment and then Direct Message them by clicking the three dots in the top right corner. This is a great way to start a relationship with a business in your region. The main thing to take away from these 60 tips is the importance of engagement. It won’t matter how many followers you have, if you don’t engage with them and create a relationship. That is how you will convert followers into paying clients or customers. If you take the steps listed above, I guarantee that you will increase your Instagram following by a significant amount. 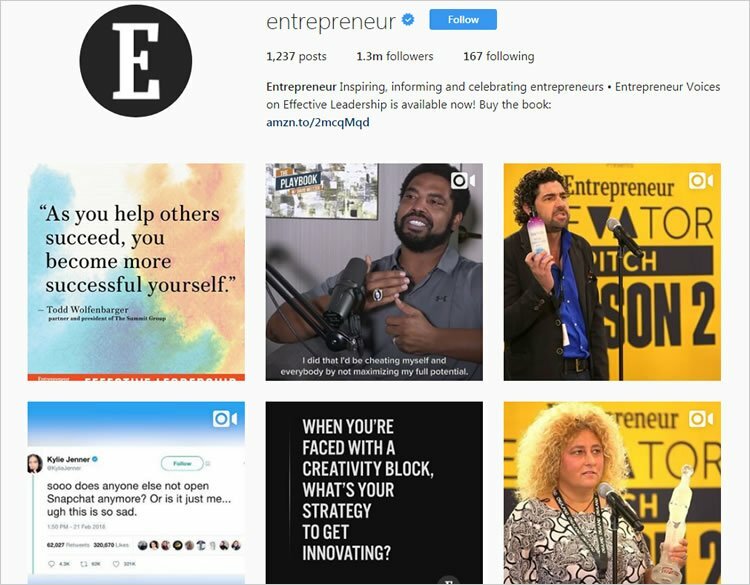 It seems like hard work, but if you begin to implement these tactics slowly into your Instagram posts, your Instagram page and your business will grow. Thank you for your time. I’ll be back with more Instagram tips, so stay tuned. I hope this brought you some value. See you soon. Take care!